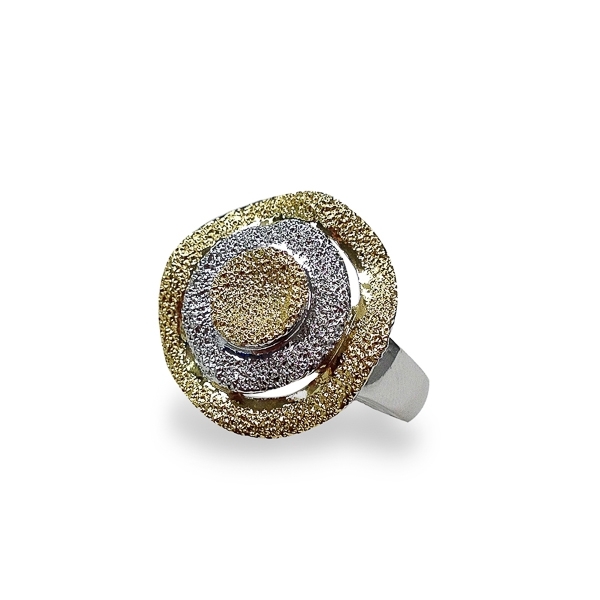 Description: Plated in 14K gold and rhodium this 3d round ring is diamond bead textured with shiny finish. She is light and comfortable yet does not fail to catch the eye. Material and Measurements: 14K Gold Plated and Rhodium Plated Base Metal - Focal Point 3/4" X 3/4"